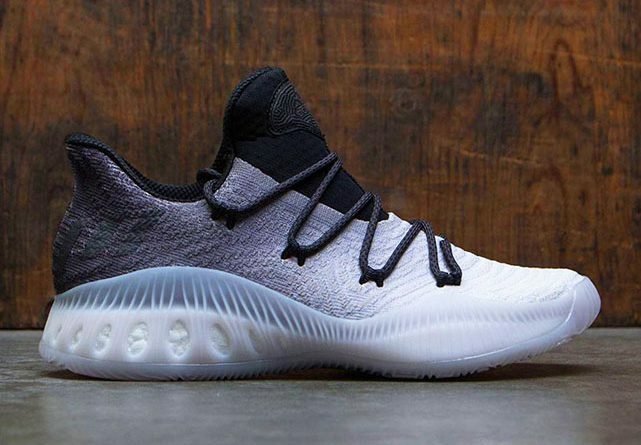 adidas Crazy Explosive 2017 Primeknit Low REVIEW – Why It’s Not Worth It? Adidas put the hammer down with them Crazy Explosive 2017 Primeknit, it‘s just simply a masterpiece on court. I was expecting a nice tweaks and improvement here and there but man… They pull the trigger real good. Now looking at last year‘s Crazy Explosives, the low version was a tad bit better in terms of mobility & lighter, less bulky construction. Is this will be the case this year? Let’s find out! NOTE: Before diving into this performance review, I just want to emphasize that the Low version is almost identical to the high tops except removed sock like ankle collar. So for this reason I will be talking just about areas that did feel or perform differently. You can read my full thoughts about the Crazy Explosive 2017 Primeknit HERE. As you probably already guested, the upper is forged Primeknit with TPU yarn for more supportive, stronger fit. 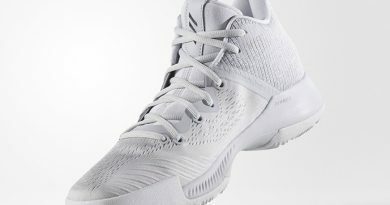 This is the brand new adidas’ Primeknit setup which was created precisely for basketball players and this year’s Crazy Explosive Primeknit versions are the first sneakers to have it. 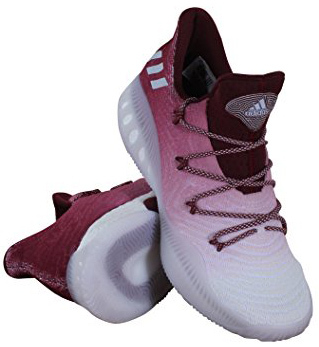 I did enjoy this upper a little bit more than last year’s just because it offers way more foot containment, especially when you trying to perform explosive moves or quick stops. Adidas did a significant job by eliminating support issue and still keeping that famous Primeknit softness as the main priority. You just simply can’t go wrong with BOOST, it just an impossible mission. If you’re a bouncy ride freak like me, then this should be your main target for next purchase, I’m telling you. They feature one of the most thickest or maybe even the thickest BOOST cushion setup of all time, so you know that impact protection sits on a next level. But maybe you’re a guard who prefers rapid responsiveness & plenty of court feel to make your opponent leaning? They got you covered as well. The BOOST midsole is super soft but it does not compromise responsiveness, so you will be able to move fast without any lag whatsoever. You can forget about whipping while playing in these since dust isn’t even a thing for them. So if you tend to play ball on those 24 hour courts where conditions most often are terrible, you should be good to go. Obviously, on clean courts the traction performs beastly – sticks to the floor like glue, sharp stopping power and awesome move coverage. Now the only issue that all Crazy Explosive models have is the outsole’s durability playing outdoors. I did test them on rubbery court outside and after one day I was able to see wear down signs, so imagine how the outsole would look like after a session on asphalt. Say what you want, but this year’s low version for some reason looks completely identical to last year’s. The exact same outsole rubber wrap on the upper, less aggressive TPU yarn, same tongue and last year’s TPU shank. Really interesting decision by adidas, I don’t get it. On the CE 2017 Primeknit version we have that super aggressive TPU yarn which goes throughout the whole upper. Now on the low version this new forged Primeknit is a little bit different, it’s way harder visible, less aggressive and it actually softer. So the shoe not only looks the same, but also feels more as a last year’s model more than this year’s. Of course, I don’t see any problems with that since the old version performed beastly as well. But as I mentioned before, the high top’s upper is reasonably better for me. As for all of you guys, I recommend going ½ a size up due to narrower construction. 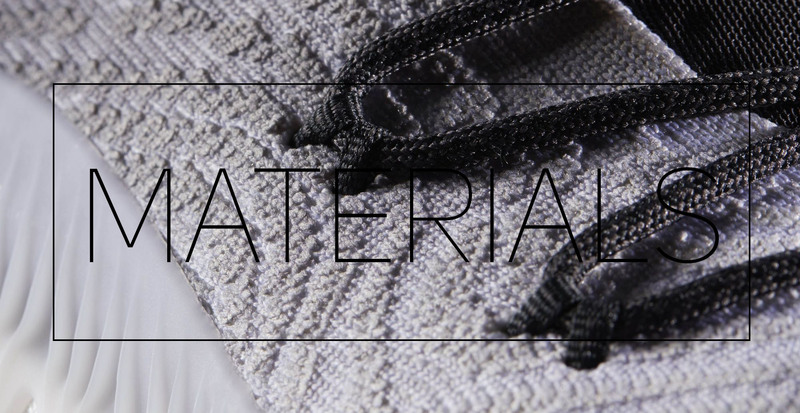 Wide footers should be good as well since Primeknit will stretch to accommodate your feet. The TPU yarn is way weaker then on the High Top version, so expect less support & containment in the upper. However, comparing to last year’s model, they still feel a little bit more supportive but not so drastically. So if you’re looking for a supportive shoe and the Crazy Explosive caught you attention, then I highly recommend you choosing the High Top version. It features way supportive upper, upgraded TPU shank underneath for even better stability & they have one extra pair of eyelets for ability to really lock your foot in place. The Crazy Explosive 2017 Primeknit Low is a super awesome shoe for any type of player, but I don’t see any single reason why you should be upgrading to this version since they look & perform almost identical to 16’ Low version but cost 20$ more. It doesn’t make sense. 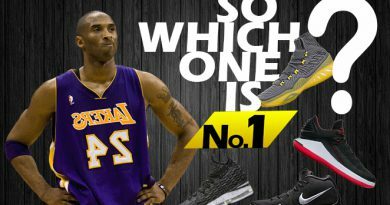 If this is going to be your first pair of Crazy Explosives then the High Tops is what you want to look at. Personally, I don’t see any better ball sneaker in the marker right now. Also, if you’re willing to upgrade – High Tops are the only way to do it right. Low top lovers, just keep playing your 16’ pairs. 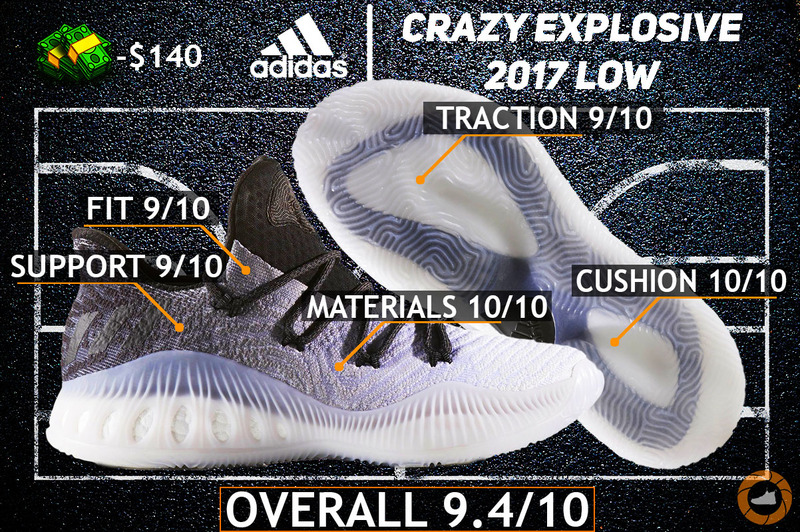 Hope you enjoyed my Performance Review on the ADIDAS CRAZY EXPLOSIVE 2017 PRIMEKNIT LOW. Will you be picking them up? Let me know! ← adidas Crazy Explosive 2017 Primeknit REVIEW – Beast Mode On! Best Basketball Shoes Of 2017 – My FINAL List! 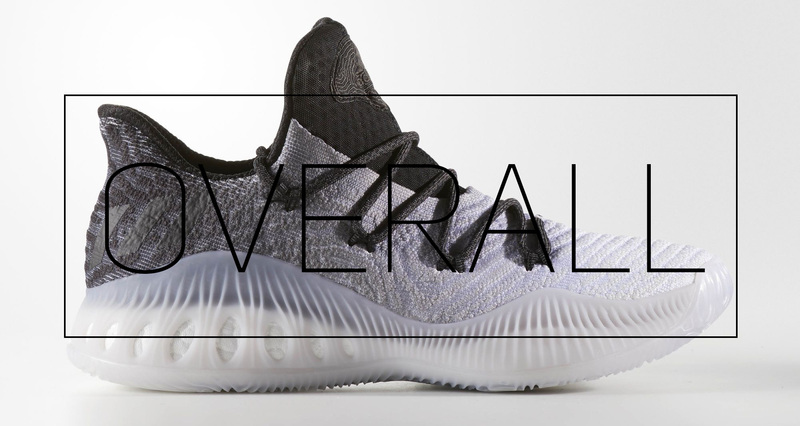 ADIDAS MAD BOUNCE REVIEW – Adidas Going NUTS! I’m looking to get a pair of these. Will be my first adidas. The issue I’m having is I’ve only had nikes(and the awesome Brandblack rare metals) and I have a medium to wide foot. 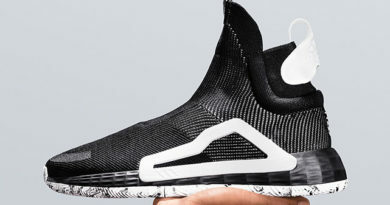 Im size 11 and hoping getting these in 11 will work, because I can’t find them anywhere locally to try on. There’s no better time to finally pick up and try your first pair of adidas, especially when we talking about sneakers that feature BOOST. Trust me, it’s really something special. I would prefer going half a size up (11.5 for you) since they run a bit narrow. However, I went true to size for my first pair of these. For the first few days it did feel a bit too tight in the midfoot area, but after a short break in time the Primeknit upper got slightly loose. It still wasn’t a perfect fit but I didn’t feel any discomfort or something to that nature. Wow, thanks. That really helps. Awesome site by the way. I’m glad I was able to help you, bro, Huge thanks!